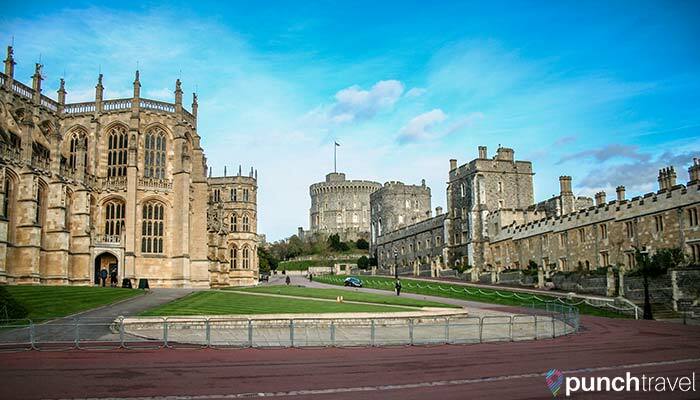 England is rich with royal history and the castles and palaces throughout the region are testaments to the times when monarchs ruled with a heavy hand. These structures are still in place today and many are open to the public to visit. But with so many castles and palaces, where do you start? Luckily for you, we’ve narrowed down the list to these five important locations. 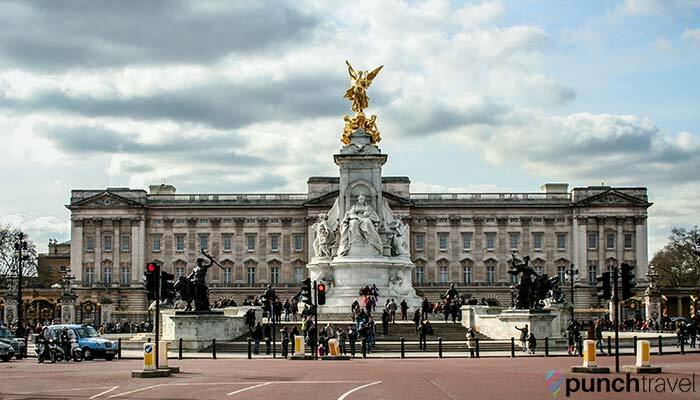 The current residence of Her Majesty the Queen, Buckingham Palace sits just south of Green Park. Most famous for the changing of the guard ceremony which happens every day at 11:30am (every other day during the winter months), Buckingham Palace is the working headquarters of the Monarchy, where The Queen carries out her official and ceremonial duties. Although closed to the public most of the year, it is open for a few weeks in the summer to visitors. For £37, you can visit the The State Rooms, The Queen’s Gallery, and the Royal Mews. Check the Buckingham Palace website for dates. 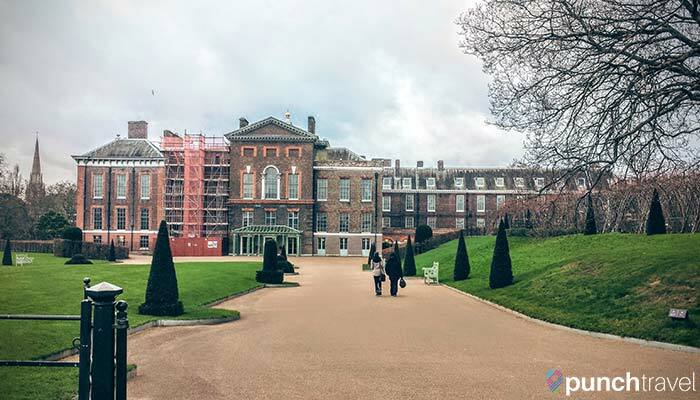 Though not as ostentatious as Buckingham Palace, Kensington Palace is significant as the residence for members of the Royal Family, including Prince William and Kate Middleton, Duke and Duchess of Cambridge and their two children. It is located on the west side of Hyde Park in the borough of Kensington and Chelsea, and easily accessible by the tube. Built for William III and Mary II as their home, away from Whitehall Palace, it was designed by Christopher Wren and its architectural style and design is in more of a modest mansion style rather than ornate royal palace. Inside, you can visit the King and Queen’s Apartments and learn more about their life as they lived here in the 17th century. On occasion there are also special exhibits which are included in the ticket price of £18. About 40 minutes from London, Windsor Castle is the official residence of The Queen when she is not at Buckingham Palace. This sprawling estate in the town of Windsor is so large it even has it’s own golf course. It is here that the Queen will put up visiting foreign dignitaries or guests so it’s no surprise that the lavishly decorated interior apartments are designed to impress. The castle and the state apartments are open to the public a few months each year. Regular adult ticket prices are £20 each, however when the state apartments are closed, the adult ticket price is reduced to £10.80. This magnificent Tudor castle was the home of Henry VIII and his many wives. In addition to the grand apartments of William III and Mary II, Hampton Court Palace is famous for it’s beautiful gardens and sprawling maze. 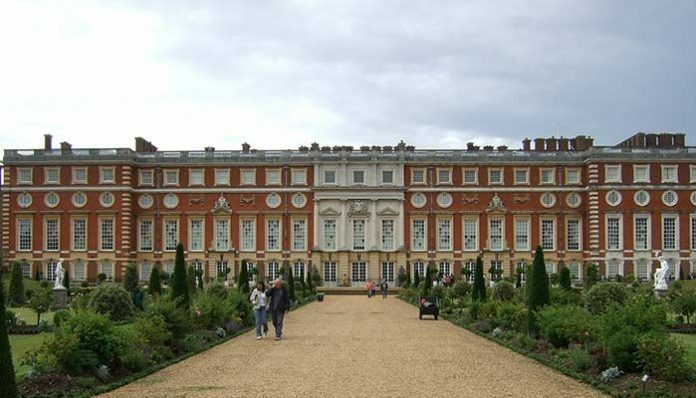 The Hampton Court Palace Gardens cover 750 acres overlooking the Thames River. It is also home to the Great Hall, England’s last and greatest medieval hall, in addition to being one of the oldest theaters in Great Britain. Admission to the Palace, Maze and Gardens is £21 for adults during the peak spring and summer months and £18.20 during the winter months. Arguably the most visited attraction in London, the Tower of London has a long place in English history, having been an armory, a treasury, the home of the Royal Mint, and now the home of the Crown Jewels. It is a working castle, so the guards that you see dressed in the funny Beefeater uniforms are real military personnel, and as wardens of the Tower of London, they still live within the tower walls. You can easily spend the entire day here, so make the most of your visit by arriving right when it opens at 9am so that you can stay until closing at 4:30pm like we did. There are so many sights to see, and in the summer it can get extremely busy with lines to enter the exhibits. 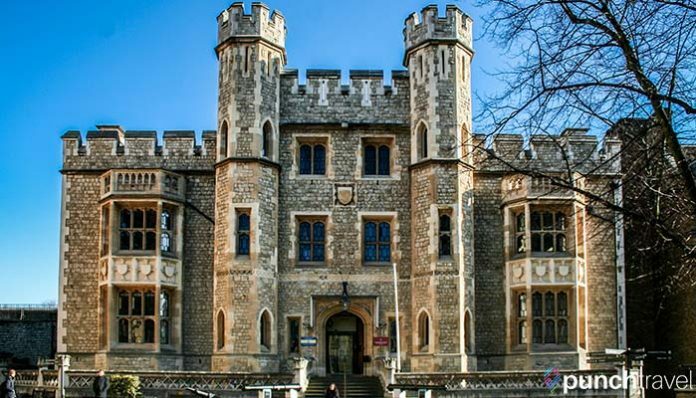 Don’t miss the White Tower to see the elaborate exhibit of the royal armory. Adult tickets for the Tower of London are £25 but discounts are available online or through the National Rail’s 2-for-1 promotion. England as it is today is largely defined by the history of the English monarchy and the relics of the past are still present and influential in modern culture. 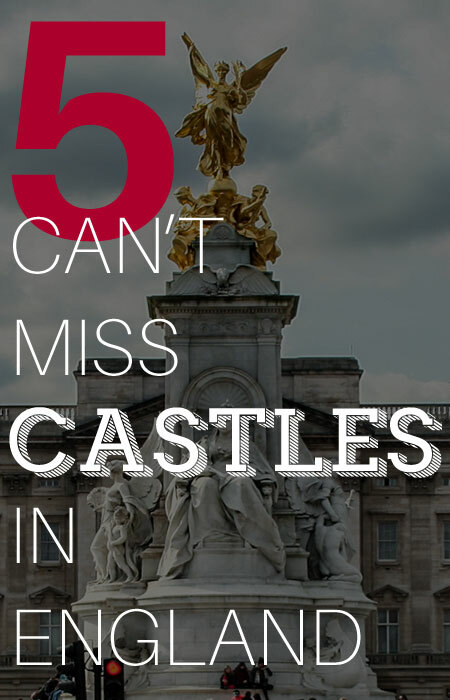 No visit to the UK is complete without taking a tour of these five important castles to gain an understanding of how England was shaped to as it is today. What are your favorite fairy tale castles to visit in England? Let us know in the comments.